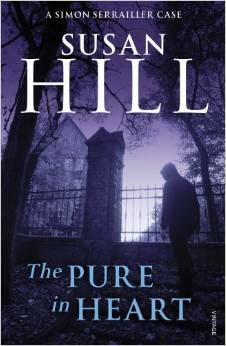 The nature of death, grieving and hope are examined in this, the second Simon Serrailler novel by Susan Hill. To give these books a label – thriller, crime novel, detective novel – is to underplay the complexity of the subject. It is an examination of human nature. The small cathedral town of Lafferton is like an extra character in Susan Hill’s Serrailler novels. Surrounded by wooden hills and deep ravines, it is at once brooding and at the same time reassuring. Read my review of the first Simon Serrailler novel The Various Haunts of Men.